Ethics approvals: Data were collected with permission from the James Cook University Ethics Committee, approval numbers H6002 and H5403. 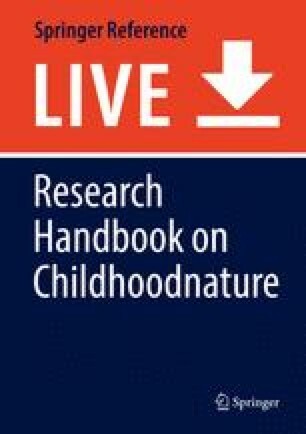 The survival of the Wet Tropics World Heritage Area in tropical Australia is now partly dependent on its (human) children not only relearning to properly care for their rainforests and waterways but learning how to sustainably care for the novel landscapes of the Anthropocene (Collier & Devitt, 2016). The Wet Tropics stretches approximately 450 kilometers along the northern coastline of the state of Queensland and was listed on the World Heritage register in 1988 in recognition of its “outstanding universal value” and “the permanent protection of this heritage is of the highest importance to the international community as a whole” (Wet Tropics Management Authority [WTMA], 2017). Both cultural and natural values form the basis for World Heritage recognition as these rainforests are settled by one of the oldest, extant, human societies on earth. Australian World Heritage rainforests are often positioned in tourism brochures and in Australian nature writing as “pristine” wilderness. Historically, they are nothing of the sort. These rainforests are very, long lived in country. Before European colonization, the Wet Tropics rainforests were one of the most populated areas of Australia and the only area where people lived permanently in rainforest (WTMA, 2017). A map of the distribution of people’s language groups is available from the Wet Tropics website (http://www.wettropics.gov.au/our-cultural-landscape). Within the Djabugay language, spoken by traditional people of the rainforest situated on the western slopes of Cairns, balmba means habitable country – or wet woodlands in European terms – and bama balmba translates to English as a person or people quite at home within these wet woodlands (Bottoms, 1999). For Djabuganydji people, “the forests have been a source of sustenance for thousands and thousands of years” (Djabukai Aboriginal Corporations [DAC], 2017). Australia’s tropical forests can be viewed from a sociological perspective as a nature-culture (Whitehouse, 2011) as there have been tens of thousands of years of continuous human settlement. As culturally informed, tertiary educators, we favor drawing on the old and revitalized Australian concept of country for inquiring into concepts of education and care, for people can walk on country, learn on country, learn from country, and care for country. Caring for country is historically associated with the cultural practices of Aboriginal and Torres Strait Islander peoples and has been generally understood as a suite of highly sophisticated water and land management practices (Gammage, 2011) from which emerge many well-being, health, social, and economic benefits (Weir, Stacey, & Youngetob, 2011). To understand care in an educational context, we draw on the work of Nel Noddings, who defines education as “a constellation of encounters, both planned and unplanned, that promote growth through the acquisition of knowledge, skills, understanding and appreciation” (Noddings, 2002, p. 283). Noddings’ (2005) own definition of care is relational and transactional: She writes that “in a caring relation or encounter, the cared-for recognizes the caring and responds in some detectable manner” and argues, “what we learn in the daily reciprocity of caring goes far deeper than test results.” Caring is a form of deep attention, what Noddings (1984) calls “engrossment.” Caring is receptive and reciprocal; the carer (child) receives what the cared-for (forest, river, reef, animal, plant) is feeling and trying to express. This opens the carer to motivational displacement. Noddings (2005) writes, “when I care, my motive energy begins to flow toward the needs and wants of the cared-for [and] n a caring relation or encounter, the cared-for recognizes the caring and responds in some detectable manner.” Philosophically, Noddings sees caring as a moral attitude that can be taught. This morality is “informed by the complex skills of interpersonal reasoning, that it is neither without its own forms of rigor nor somehow less professional than the calculated skills of formal logic” (Flinders, 2001, p. 214). Caring for country is being adopted much more widely across Australian society because it is such a generative, productive, and democratic concept. Within the complex idea of country is a very deep sense of relationality. People and country are close; people need country; country needs people. When we look at the forests and biomes of the Wet Tropics, we can say that the Wet Tropics needs people to care for it, and people certainly need the Wet Tropics. We are four tertiary educators who work together with a deep, collective interest in social, scientific, and environmental sustainability education. In this chapter, we take up the sociological position of Malone (2011) who argues children are “subjected to the same social forces as adulthood, and children as social agents…can contribute to the reproduction of childhood and society through a variety of opportunities that are created in conjunction with adults, peer cultures and other children” (p. 476). We present views of caring in the words of children and illustrate the adult and peer leadership necessary to promote their agentic learning. Clifford Jackson collected the focus group interview data with 10- and 11-year-old children participating in the Cairns District Schools Science and Sustainability Enrichment Program, led by Sandra Charlton that involves students and teachers from the Queensland Government Department of Education and Training (QGDET) primary schools and colleges in Cairns and the Atherton Tablelands. Marcia Thorne collected focus group interview data with teachers and 15-year-olds in QGDET secondary schools and colleges in Cairns and the Atherton Tablelands. Neus Evans collected the document data of caring project materials available in the public domain and viewed artifacts created by children. Together we analyzed these data looking directly at caring practices in (and for) the Wet Tropics, and Hilary Whitehouse took carriage of writing this chapter. Malone (2011, p. 466) advises that to “focus on children’s agency without considering structure is to overlook the fact that a person’s capacity to engage in an action and take it forward can only be realised if the established structure in which they are operating will support and accommodate those actions.” Current education policy in Australia is strongly influenced by globalization and neoliberalism (Smith & Stevenson, 2017) and follows an education agenda that generally serves the neoliberal marketplace over and above the needs of individuals and the needs of human and forest communities. Caring for country and education for environmental stewardship is not conceived as core to school curriculum in the Wet Tropics (Thorne, 2017). Educators can experience a persistent philosophical conflict between the effects of the neoliberalist paradigm of efficiency and productivity that dominates Australian curriculum and educational policy (Cuervo, 2016) and the other meaningful imperatives of education, such as preparing children adequately for life in the Anthropocene. Children, too, have to negotiate the same structural tensions. The Anthropocene, as a way for framing socio-ecological conditions, is an educational problem (Laird, 2017), and we can use dimensions of the concept to acknowledge “educated human agency’s power to change Earth environments for worse and for better, including its consequences for a place’s habitability” (p. 269), and this requires “educating children to develop nature-loving practices” (p. 275). There was a small creek that came off the hills under Reservoir Road and through the farm. This creek was fed by a small spring in the mountains. Taro grew around this small spring. We would catch red bream, mud cod, jewfish, perch and freshwater turtle. Today this creek has been obliterated by development, which is called “progress”. Biodiversity conservation is a priority for action in the twenty-first century (Perring, Audet, & Lamb, 2014) given the Anthropocene is marked by unprecedented human population growth and mass deterioration of habitats and loss of species. Individual children, teachers, local groups, schools, and their communities cannot readily or easily address international problems; however, practical forms of action at local and regional scales can have significant effects. The case for action is that the Wet Tropics region is characterized by high endemism meaning the risks of extinction are predictably dire (Williams, Bolitho, & Fox, 2003). Broad-scale species loss is detrimental to remaining biological communities (Reside et al., 2017), including the human populations dependent on healthy ecosystems for the provision of life supporting services. Governments and policy-makers have long been aware of the effects of biodiversity loss on human health and well-being (see Department of the Environment, Water, Heritage and the Arts, 2009). But how adequately these identified concerns have been addressed through formal education is an open question. Our understanding of the Anthropocene is that the term gives shape and meaning to current conditions and imparts a sense of urgency to the task of transforming the purposes of education. Davies (2016, p. 2) writes that the idea of the Anthropocene (and the consequent terminal death of the Holocene) “provides both a motive and a means for taking a very, very long view of the environmental crisis. It gives the ecological upheavals of the present day their proper place in the history of the planet.” The national Australian Curriculum neglects to mention the Anthropocene and does not provide any overarching ideas or directions about the teaching for the Anthropocene. There are creative spaces within the Australian Curriculum’s learning areas (disciplines) and the cross-curriculum priority of sustainability (Australian Curriculum, Assessment and Reporting Authority [ACARA], 2017). However, the sustainability cross-curriculum priority is precarious space as there is no mandated requirement in the national curriculum that any learning area be taught through this cross-curriculum priority (Salter & Maxwell, 2016). Our critique of the Australian Curriculum is that the whole document is predicated on the assumption that the global climate will remain stable, as it did in the Holocene, and that the purpose of formal education is to focus almost wholly on matters advancing human society. In Queensland schools, the current obsession is with Australian Government education policy focused on improving standardized literacy and numeracy scores aligning with a larger global agenda. A regulatory testing regime called the National Assessment Program – Literacy and Numeracy (NAPLAN), which began in 2008, is administered annually in May to children in years 3, 5, 7, and 9. Schools and teachers spend an inordinate amount of time conforming to this testing regime. Meaning, sustainability education in general and the wonderful projects children discuss in this chapter are marginal to normative school practice and can be considered quite unusual. When the truly dis/ruptive nature of the Anthropocene becomes undeniable and education leaders recognize that young people are going to need more than numeracy and literacy to overcome severe conditions, this is likely to change. Until then, a key performance indicator for Queensland schools remains the improvement of NAPLAN scores. The emphasis on standardized testing comes at the expense of teaching and learning for caring for country and for taking action on sustainability, environmental citizenship, and other worthy endeavors of formal education. We shall now focus on what is being done to enable children’s care projects. Groups of educators in coastal and highlands regions in far north Queensland, who themselves have a strong sense of care, are initiating and supporting student projects that truly focus on caring for country. In 2013, the Cairns District Schools Science and Sustainability Enrichment Program (CDSSSEP) was started by Sandra Charlton, Louise Carver, Helen Underwood, and Annette Ryan, and 2014 was the first year of the program. Led by Sandra Charlton, the program involves students and teachers from Queensland Department of Education and Training primary schools and colleges. The initial program was centered on environmental networks established by staff at the Holloway’s Beach Environmental Education Centre (HBEEC), and subsequently the program is also offered by the Tinaroo Environmental Education Centre (TEEC). Both programs facilitate extracurricular science and sustainability enrichments for able and selected, preadolescent children in Cairns, Gordonvale, and towns across the Atherton Tablelands. Since 2013, 9- and 10-year-olds in Year 4 have been recruited to take part during their Year 5 studies as 10- and 11-year-olds. The children are nominated by their school principal and while in Year 4 complete an International Competitions and Assessments for Schools (ICAS) (UNSW Global Pty Ltd, 2017) science test Paper C (Year 5 equivalent) to gain entry. The top 15 students are offered places and once accepted into the enrichment program are challenged to develop small-scale sustainability initiatives and encouraged to seek advice from education and environmental professionals in the region – such as from the Cairns Regional Council, local Queensland Government Departments, Barron Catchment Care, Terrain NRM, Great Barrier Reef Marine Park Authority, Wet Tropics Management Authority, James Cook University, and local community organizations and businesses. Cairns District Schools Science and Sustainability Enrichment Program (CDSSSEP) range of 1-year projects is truly inspirational (see Table 1 for a small sample from 2015). In most cases, the young children excel at recognizing the problem and identifying actions for solution. Despite their age and inherent lack of access to integrated resources, these children are no less interested in leveraging their ideas via the community into fully realized caring projects. The program is extracurricular and not usually undertaken as part of a school day. Children spend their own time on their projects. In some schools, the children meet with the teacher liaison of the school for 1 h a week and then work on the project in their own time. The children’s efforts are not graded nor assessed, and children’s two public presentations of their project’s results are viewed as an opportunity for the child to gain additional feedback about their project from people outside the program and project team. The children’s initiation starts with induction days into how to set up a sustainability project. The children attend excursions to both a nearby tropical island (Green Island) and a Wet Tropics aquatic ecosystem, the Barron River. Children indicated that their project ideas were inspired by their adult-facilitated experiences on county as these excerpts from focus group interviews show (gender, school, and year are de-identified for confidentiality). Given that children are the agents of their own learning (Malone, 2011), these data enable the enrichment program children to speak about their experiences and their decisions in their own words. Designing deep and meaningful learning experiences that reach beyond prescriptive numeracy and literacy classroom-based lessons is not easy on a number of levels. As Bowers (2011) notes, the crisis of the Anthropocene is not currently being addressed in formal education because so much of what is promoted in public (government) schools tends to reflect the thinking and actions that have promoted the very crisis we face. What is required is thinking and actions that respond to increasingly complex systems. Educators, at both the administrative and classroom level, who wish to respond to complex Anthropocenic systems are required to surrender false presumptions of control and instead exert trust, creativity, time, and energy. Our research with teachers and children who engage in caring for the Wet Tropics finds similar barriers to those provided by scholars elsewhere, including insufficient time and money. Understandably, school principals are preoccupied by consequences of neoliberal education policies that emphasize (and in some cases, punish and reward) performative excellence in education as decided on narrow, literacy and numeracy standardized test results. Educational activities that divert attention away from primary schools’ core business of literacy and numeracy can be seen as disruptive to progress. In this vein, far north Queensland schools have responded by defaulting to rigid, explicit instruction pedagogical models. There is research that argues for the effectiveness of explicit instruction over other pedagogical models (Clark, Kirschner, & Sweller, 2012; Hollingsworth & Ybarra, 2009; Rosenshine, 2012), particularly for teaching numeracy and literacy skills. However, literacy and numeracy learning can also take place alongside or through works of conservation and restoration, with added positive wide-ranging results for school reputation, learning, learners, and their communities (see Archie, 2003). North American schools that use the local environment for learning report dramatic improvements in the quality of education, including improved academic performance overall and in standardized test results, student motivation, behavior and attendance, parent and community involvement, and assimilation of concepts and skills beyond numeracy and literacy. Learning for caring can cover a broad range of core curriculum requirements in English, Mathematics, Science, and Technologies alongside improving children’s capabilities considered necessary for the twenty-first century, including problem solving, communication, and critical and creative thinking. For example, consider the work of Molly, who, as an individual (and not part of the CDSSSEP) at age 9, took action after learning about the consequences of plastic for marine ecosystems and animals. After considering a suite of possible actions, Molly decided to start a campaign to eliminate use of single-use plastic straws from all far north Queensland school canteens. Molly calls her campaign “Straw No More” and uses social media features across Facebook (https://www.facebook.com/StrawNoMoreProject/), Twitter, local radio, and a website (https://www.strawnomore.org/). Molly began at her own school first gaining support from the school principal and then the canteen manager and teachers. In less than a year, 16 other schools joined the campaign. Molly worked with local not-for-profit organizations, speaking on local and national radio and presenting at the local TedXCairns event. Clearly, Molly’s learning over the year extended far beyond school-based literacy and numeracy to develop her personal and social capabilities; critical, creative, and problem-solving skills; and personal growth alongside improving the ecological fabric of waterways that enter the ocean. Molly is planning to expand her campaign to local cafes and restaurants. School leaders can choose to be enablers or disablers. School-based activities are bounded by the rules, regulations, and norms of the broader education system and community context. Principals who choose to enable conservation and restoration work can do so by actively supporting emergent initiatives and establishing democratic and trusting structures which, in turn, generate space for flexibility, creativity, and increased social capital. Although principals tend to report feeling constrained by systemic barriers imposed by educational governing bodies, they have discretionary power to use “leverage points” (Hjorth & Bagheri, 2006) within their spheres of influence. In one Wet Tropics school, the principal used her leverage to support teacher and student conservation and restoration work of local wetlands by creatively rearranging the school’s budget lines to enable the key teacher to have 1 day per week free of teaching to administer and organize this caring work. Another very important enabling practice is trust. Reciprocal trusting relationships between principals, teachers, students, and the local community are very important for advancing conservation and restoration work. Principals, teachers, and parents have to trust that ecological caring work leads to student lifelong learning rather than being tempted to focus on systemically valued and immediately measurable short-term goals and gains. What emerges from these data is just how wise these young children can be, particularly in understanding the power of multiples when it comes to individual and local caring actions. We are very moved by these data and particularly the phrase that “tiny, midget actions” count. The novel landscapes of the Anthropocene are the new normal. No child’s project can return developed country to any sense of wholeness associated with the conditions of past centuries. What the children are doing are enacting their own relational ideas of care, enabled and practically supported by innovative educators and involved parents. All projects concern raising awareness and reducing one or more human impacts on a Wet Tropics catchment or biome. Not one project involved taking peers outside to more directly “connect with nature” (Charles, Louv, Bodner, Guns, & Stahl, 2009), and this is very practical decision-making. For children in the Wet Tropics, the forests and rivers of Far North Queensland are safely accessed in the company of supervising adults like parents and outdoor and environmental educators. Coastal rivers hide very large crocodiles. Forests are alive with poisonous snakes, disease-bearing ticks and mites, biting insects, and stinging trees. And for half of the year, it’s incredibly hot. None of this lessens the meaning and impact of the children’s actions, for what underlies all these initiatives is both a strong sense of purpose and a strong sense of connection. Children desire to take large and “midget” action to address environmental and sustainability issues in the Wet Tropics, while Queensland public education remains largely preoccupied with maintaining the education status quo and limiting student learning to “safe” experiences that can be measured and controlled. The children afforded participation in the extracurricular CDSSSEP are challenged to work with others and make a difference to their local community; however the program is limited to children with demonstrated high academic ability and with access to higher levels of social capital. Molly, who was not involved in the CDSSSEP, was supported by her own school and family. The key condition is that children receive full and meaningful, trusting adult support to keep them buoyant and optimistic. Laird (2017, p. 268) writes that the Anthropocene will demand from all of us a “much deeper and broader rethinking of educational ends and means that take the myriad complex challenges of Earth habitation and habitability seriously, both locally and globally, with diverse children’s needs and situations explicitly in mind.” Children’s participation in the formal enrichment program on the Atherton Tablelands and in Cairns was enabled by a regional network of adults in possession of “a heightened sense of human agency’s consequences for the habitability of both the planet and children’s local environments, the places where they live, play, and learn” (Laird, 2017, p. 268). There is a concept of a “good” Anthropocene (or possible, plural, Anthropocenes), lit by a myriad of actions, large and small, all making positive and productive contributions toward creating a future that is just and sustainable (see https://goodanthropocenes.net). Whether our Anthropocene turns out to be “good” or dangerous for human societies, ancient rainforests (and their neighboring reefs), is going to be decided in the next few years. What we can rely on is human creativity ingenuity and care. And as with the CDSSSEP, within hybrids of formal and informal learning, caring educators and children will find the opportunity for change (Stevenson, Nicholls, & Whitehouse, 2017). What we show in this chapter is that when enabled by caring adults, children are agentic, they do care deeply, they possess relational systems thinking, and they value their Wet Tropics.